I could not be more in love with this Denver lifestyle newborn session. On a cold, snowy day in Denver I met this beautiful family who just welcomed little Liam home. This beautiful couple is good friends with one of my favorite families and was referred to me. Liam had spent a little over a month in NICU and his parents were overjoyed to finally have him home with them. His mom and I chatted for a few weeks in anticipation of his going home date and their session. I was greeted at the door by their seven month old Great Dane puppy, Ellie. You will see that she loved the camera and was eager to have the spotlight on her as much as the little baby. Liam was so cozy and loved being snuggled up to mom and dad while the snow was pouring down outside. This is one of those sessions where everything was absolute perfection! Little Liam is just as handsome and tiny as they come. He mainly slept through his session and even allowed us to wrap him up for a few more posed style photos in his nursery. 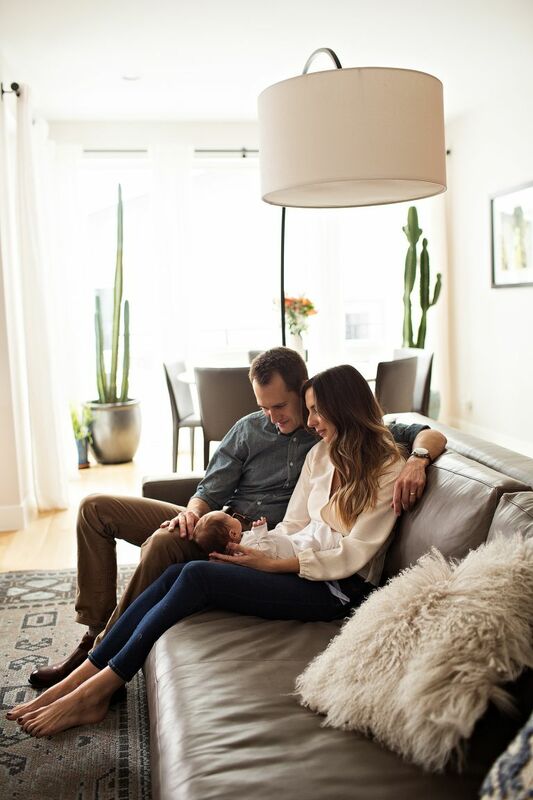 I am always so honored when my clients invite me into their home for a more intimate session, especially after they just brought home a baby. Denver lifestyle newborn sessions allow me to capture sweet moments like mom brushing his hair, Dad looking at Mom with a new love, the real raw moments and emotions of those first days at home. I love these sessions as equally as my posed studio newborn sessions. I always try to incorporate a few more posed images or a newborn set-up into these lifestyle sessions. I could not narrow down their images to share, so sit back grab a cup of coffee and enjoy the warmth and love that shows in their images!